Parties and celebrations are a time for people to come together and enjoy good company and good food. Whether you are celebrating a birthday, anniversary or christening, organising a college summer ball or just looking to get friends and family together we can create a personal menu to suit your catering requirements. 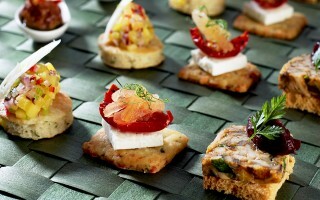 As party caterers we can provide anything from buffets to barbecues or three course dinners to canapé receptions. 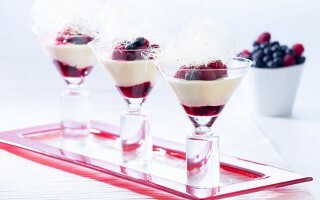 We will create a personal menu that will deliver delicious food for your celebration. Click here to see our sample menus. With a wealth of experience we will consider all aspects of your event to make sure that your celebration runs smoothly. We pride ourselves on our professional and friendly service! In addition we can offer an Event Management service to help oversee every aspect of your event, from the planning stages through to managing the event on the day so that you don’t have to. Our professional 5 star rated kitchens are based in Oxfordshire and we offer party catering services to the local area as well as branching out to London, Buckinghamshire, Cotswolds and beyond.